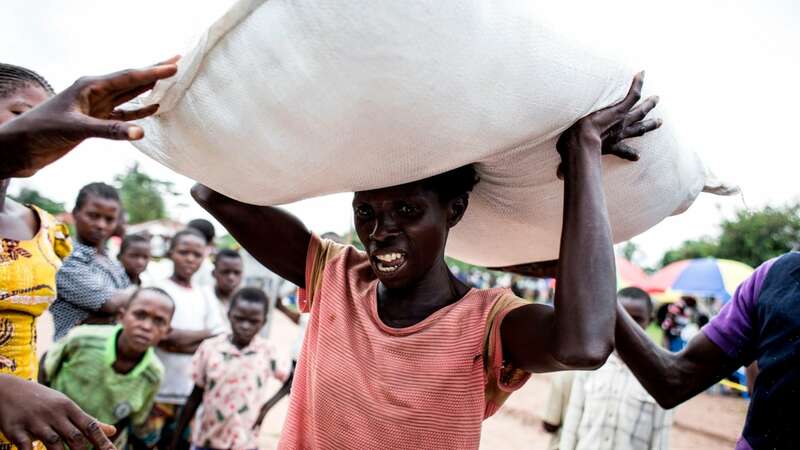 The head of the UN’s World Food Program is making an urgent appeal for aid to stave off a humanitarian crisis in Congo, formerly known as Zaire, where millions are struggling with food shortages brought on by conflict. David Beasley began a four-day mission to the country on Friday and said more than three million people face severe hunger in the south-central Greater Kasai region. He said several hundred thousand children could die within the next few months. “It is heartbreaking to see 3.2. million people severely food insecure, who don’t know where they will get their next meal,” Beasley told CBC News. On Saturday, Beasley met with conflict-displaced families in the region, where violence erupted in August 2016 after clashes between security forces and the Kamwina Nsapu armed group. “I’ve never seen anything like this. We literally have 12-year-olds and 10-year-olds killing others and chopping their heads off,” he said. A regional tribal leader who had defied the government of President Joseph Kabila died during the clashes. Officials say the number of people displaced by conflict has nearly doubled in the past six months to 1.5 million.